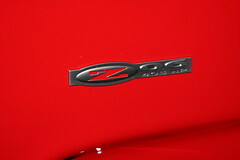 10 Years from the day we sold the 2004 Z06 came and went last week. Here’s hoping we don’t go another 10 years before we can put this domain to some good use! 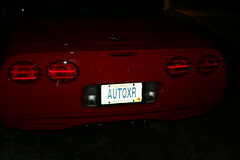 Well it looks like John is moving on from the Corvette. Considering I just shipped him an 89 RX-7 I kind of figured the Z06 might be up for sale soon. 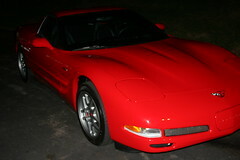 If you are looking for a Z06 this is one clean car, 2004, 26k miles, $26k. I just got an email from Natalie, John is on his way back to the DC area with the Corvette, so we no longer own a Corvette..... Have fun John, enjoy your ride! Blah to my finish at the Solo Nationals! Natalie is 9th of 12 in her first Solo Nationals (6th event ever). Beth is sitting in 7th I believe. Dave is in 30th, I am in 25th. We aren't that far off on time, but the SS competition is tight!!!! Sorry, I'm going to bed! Will post more tomorrow. Today was another fun day at Heartland Park in Topeka Kansas. We (my wife and my father) headed out to the event site around 9am this morning, parked the cars and then walked around paddock and grid making our way up to the courses to watch a few runs. After a bit we decided it was probably a good idea to get Natalie checked in with registration, so we headed off to do that, quick and easy. Next up was a move towards the head of the class. Sam Platt had headed home after his performance yesterday and the threat of rain, so we moved up to his previous grid spot in front of the Solo Performance/SCCAGear.com store. Much closer than where we were before. Natalie had to work, I sat down near information and looked through the stats book for Nationals trying to get some information together for my announce heat. My announce heat went well, I had fun yet again, though the heat seemed to fly by. After the heat we flew back to the hotel to get cleaned up and changed. I planned on wearing a suit for the banquet as I would be up on stage presenting the trophy winners for the heat I announced. We got to the banquet early (as I always do) and locked in two tables for people coming in later. It was interesting that they started the buffet early on, I think it worked well to keep the lines short when people got there to eat. The awards ceremony lasted about 2 hours, I was surprised it was that long as it felt to me like it flew by. Before I knew it I was up on stage presenting the trophies, and then I was done. I thought my part went well, though I felt like I didn't talk enough. I was told that people thought I was the easiest to hear over the microphone, and that it was nice that I kept things short and to the point, but that came from my friends and family, so hopefully some other folks will chime in with some feedback. It's time for bed, we're going to get up early and try to be on course by 6am. So today I had a full day scheduled. I went to the event site around 9:30, after a swing by McDonalds to pick up a quick bite for breakfast. From there I parked the car and hopped on my bicycle to ride over to the Solo Performance garage to hang out and work on my book proposal that I need to get out. At noon I had a meeting with the other announcers for the Solo Nationals, it was an interesting meeting, though I don't expect any of us expected it to last an hour and a half. From there I ran back to SPS to pick up some broadband cards to try and get the living results functionality ready for Nationals. This has been a last minute thing that Darrin and I have played around with most of the year. We have the software working, but we spent nearly 8 hours today trying to work out issues with the connectivity that we ran into using the AT&T broadband cards. If we can't get it working though, you probably won't see much there. Well I managed to fall one position today into 8th place. I was faster on the left side, but managed to redlight that run as I changed where I was launching from and got a much better launch than I expected. I picked up 3tenths or so on the right side. I would have moved up to 6th had I not redlighted that run. Oh well, maybe another year! More details: lots of rain! I'm sitting in 7th place after my runs today, my runs were better than I expected after the "practice" runs we ended up having this morning. We'll see what happens tomorrow but I believe it is still going to rain. If it dries up at all it could get really interesting tomorrow. I can't believe this, but I will post this publicly to shame myself for being such an idiot. This was an expensive screw up.. So, this week just got really expensive, and I haven't even left for Topeka yet! $4-500 for the St. Louis dealer, plus $$ to get the rear control arms replaced, though I am going to have the control arms replaced by Superior Chevy out in Meriam Kansas because they can do it Thursday morning and they are SCCA Folk, I trust them way more than the local guys to get me corrected properly.